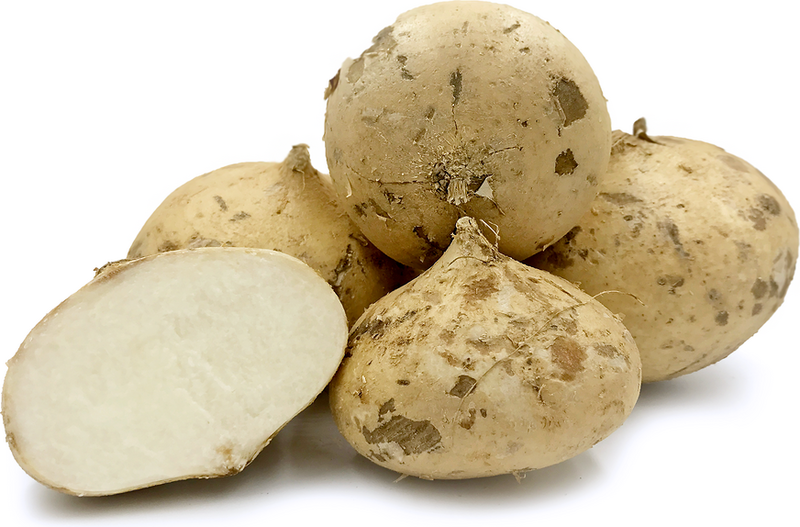 Jicama Salad starts with crisp jicama. You can feature this jicama salad as a buffet dish, or you can plate the vegetables as a first course for dinner. 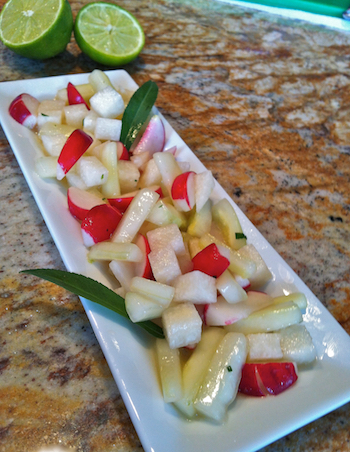 The Serrano chiles perk up the lime dressing. I grew up in a Mexican American family that, like many others, ate lots of vegetables, many of them raw, and what we ate depended on the season. We enjoyed a bite or bites at all times throughout the day. 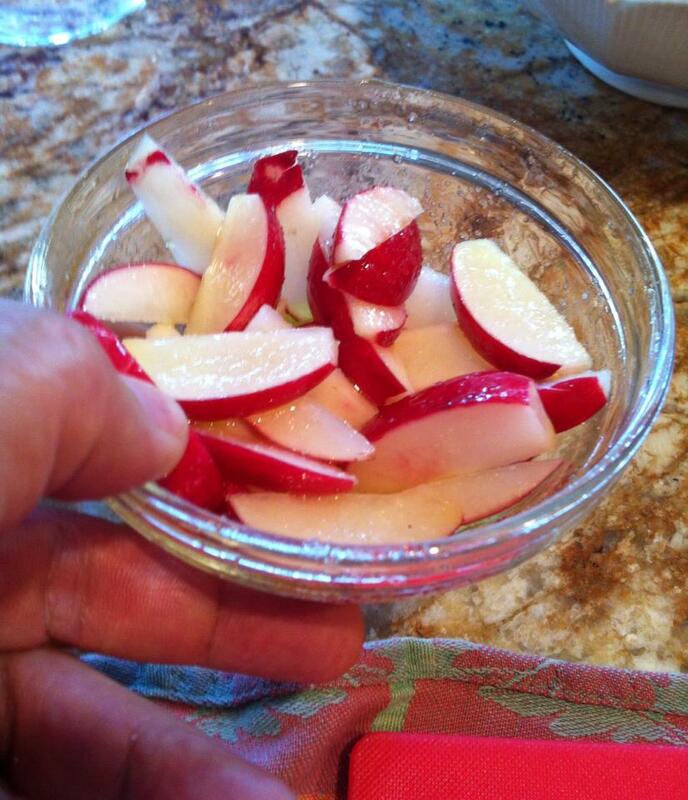 Amá would slice them onto a plate and put it on the kitchen table: radishes, cucumber, jícama, turnips, carrots, and so on. 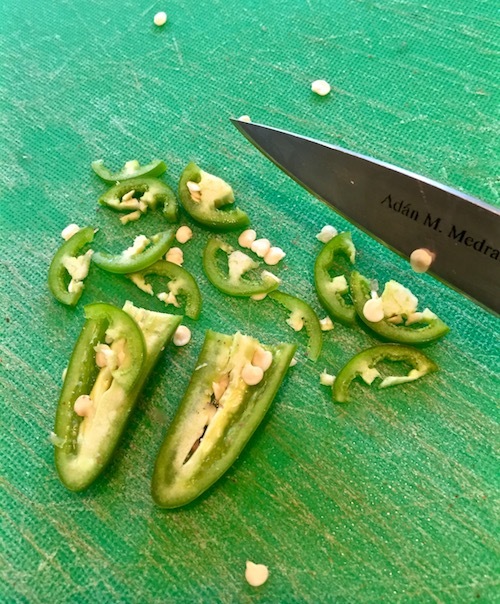 Limes, salt, and chiles were placed alongside.Of course, anytime we went by the kitchen, we’d squeeze lime on them, maybe some chile, and create a refreshing, sparky combination. This is a new recipe that I created for my first cookbook, inspired by amá’s plate of fresh, crispy vegetables, citrus, and chiles. For a twist, I add a touch of yerbaníz or pericón, an aromatic herb native to Mexico and common here in Texas. My niece Christine brushed past it in my garden the other day and was startled by the aroma. “Oh, my God, I have not smelled that since I was a child with grandmother Florencia!” The leaves from the yerbaníz make a restorative tea for colds and stomach aches and Christine’s paternal grandmother used to make it for her whenever she was sick. My niece, delighted and surprised, had not smelled nor tasted it since childhood. It’s sometimes called anise blossom or Mexican tarragon. Be sure to use just a touch, as indicated in the recipe. If you use more, it will completely overpower all the other flavors, and you don’t want that. I have noted in the recipe that it is optional. If you are unable to find the herb, the salad will still be wonderfully bright and refreshing. It’s ready to serve. You can also spoon it on some lettuce as a composed salad. In our Texas heat, it is nutritious and cooling.